If you read my previous post, I received something mysterious from Guinness that left me thinking in curiosity. 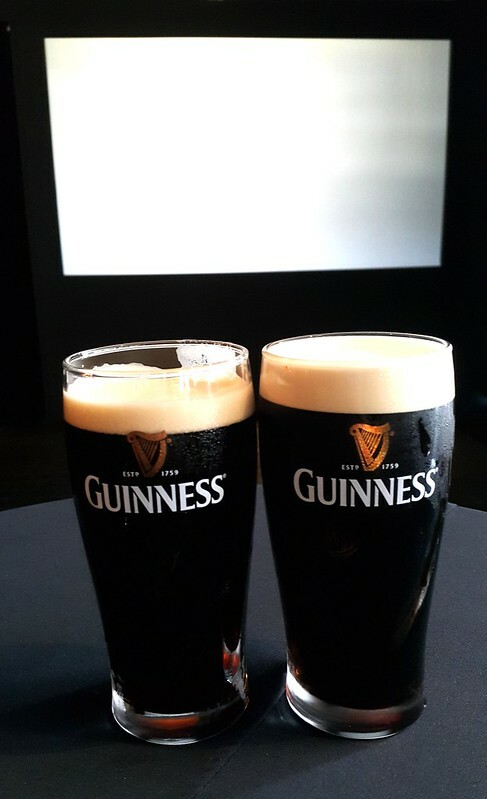 So what is Guinness Christmas Bold Confessions campaign is all about? Stand up, 'fess up, be bold and show that you're made of more! 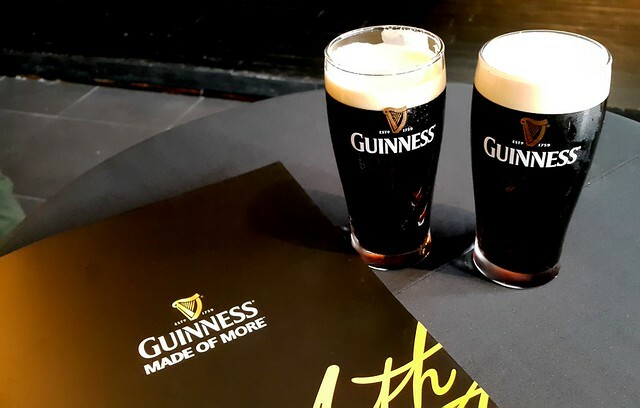 Before the year ends, Guinness wants to inspire its loyal customers to be bold and start the New Year afresh! Christmas is the time for joyous celebration as well as to look back and reflect on the things we've done or left unsolved. Christmas is the time when we open our hearts and confess to something, to own up to something they've done, or to open up and let people in on a secret about themselves that nobody else knows. 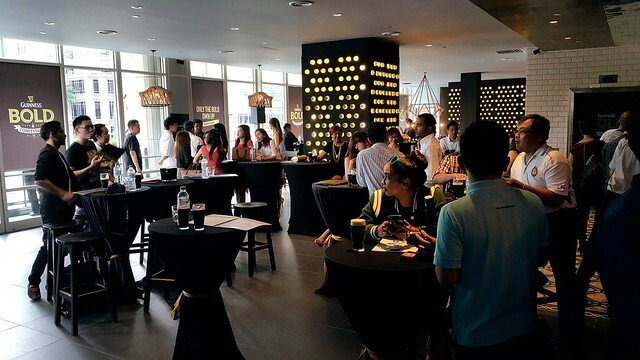 I attended the Guinness Christmas Bold Confessions media launch yesterday that was held @ The Apartment Downtown, KLCC. 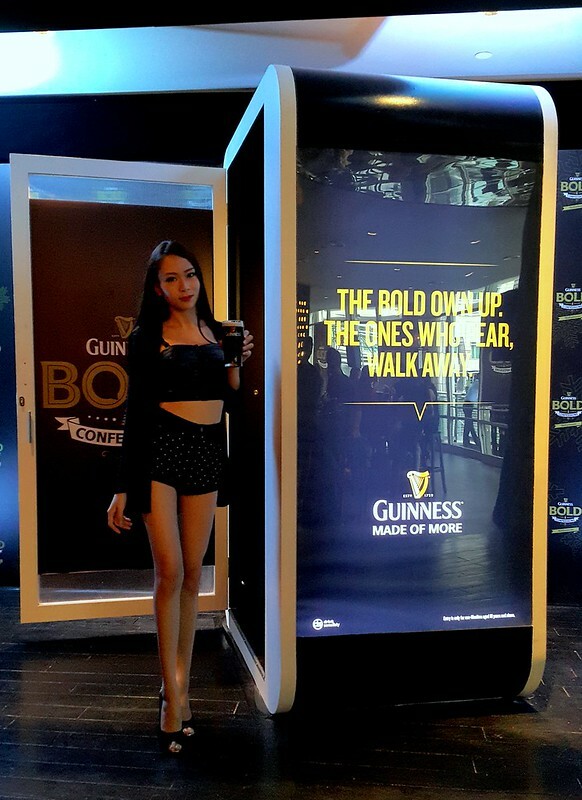 Introducing Guinness Bold Confessions Booth where consumers will be able to make bold choices and take a step forward to prove that they are Made of More by recording their confessions in the booth. Bruce Dallas, Marketing Director of GAB at the Guinness Bold Confessions Booth. Are you bold enough to step inside and confess your guilt in the time for New Year? 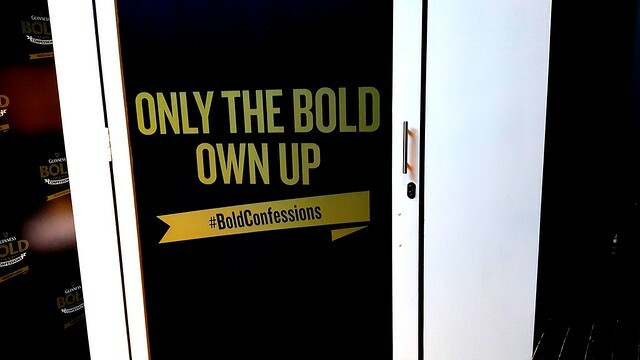 Accepting Guinness challenge to stand up and 'fess up in the Bold Confessions Booth. How exciting! 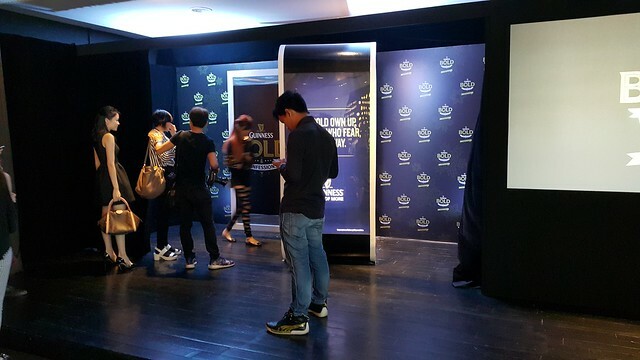 Guests and media gathered together to try out the confession booth. 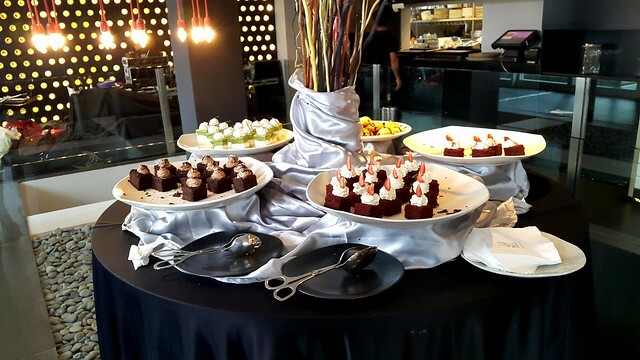 Complimentary food and desserts were served too. 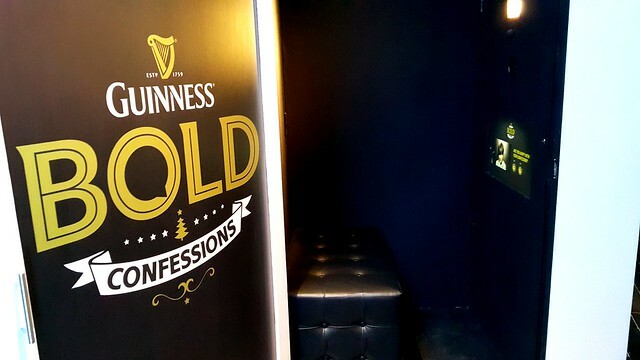 Do look out for Guinness Gold Confessions Booth that will be touring Klang Valley during November and December, appearing at different outlets each week. Watch our local personalities joining in the year-end fun with their bold confessions, including Kyoto Protocol, Paper Plane Pursuit frontman John O, and comedian Prakash Daniel while using the booth. Those bold enough to step inside and record their confession will be rewarded with a voucher for a free pint of Guinness on their next purchase. On top of that, those who give the best confession will win two tickets to the exclusive Guinness 'Guilty as Charged' party just before Christmas. 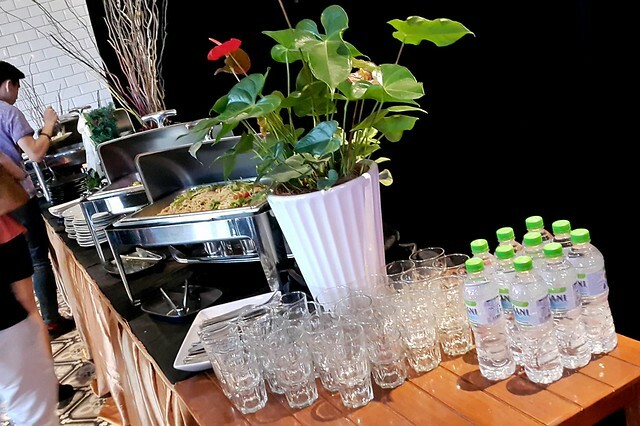 Social media users can also confess from the confort of their own homes, recording their video confession and posting to Instagram using the hashtag #BoldConfessions and tagging @GuinnessMY.